This Special Cross Truss is from the final year of cross frame production. 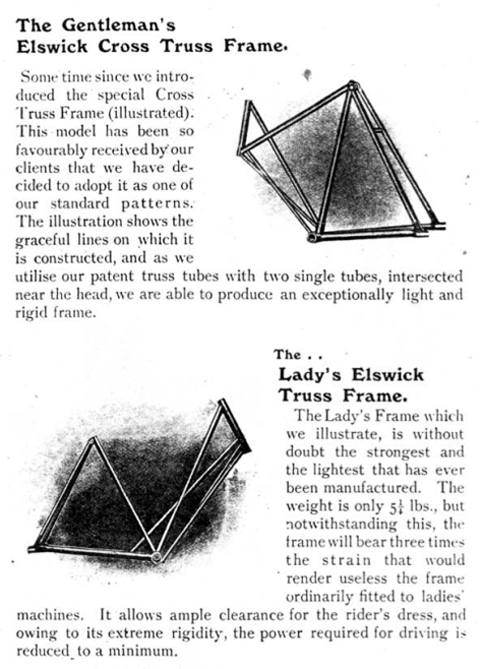 Cross frames were, by 1937, rather old-fashioned, and other manufacturers had already dropped them from their catalogues. Nevertheless, retrospective views of old catalogues rarely reveal the whole story: customers could still order cross frames from manufacturers, and they were still exported to the Colonies, where fashions were a few years behind Europe. This example is a ‘barn find.’ It’s in good usable condition, mechanically restored with new tyres and tubes and a working Model K three-speed. Cosmetically it has seen better days. Though the metal is solid, the original unrestored green paintwork and bright parts are in ‘oily rag’ condition, i.e. with extensive surface rust. The original transfers (decals) are visible. Old-time vintage enthusiasts much prefer to buy machines in unrestored original cosmetic condition. You never know what’s under the paint when it has been repainted. As a reaction to over-restored shiny bikes, we prefer to ride them like this too. Compare a film star with a facelift to someone who grows old gracefully and you’ll understand why. But if you wanted to improve this bike cosmetically without destroying its originality, the sympathetic way would be to find an original 28″ wheel green Elswick in better condition and swap the parts over. This Cross Truss Roadster is obviously expensive because it was a top-of-the-range expensive model when it was new. It is now very rare to find one for sale. But parts are interchangeable with normal Elswick roadsters, and they are not expensive. Cross frames are a fascinating, unique style of bicycle. They have invariably been snapped up by collectors worldwide in recent years. But the Elswick is more than just a cross frame. Its twin down tubes cross to create the ‘cross truss’ that is its trademark feature. And it is the de Luxe model enamelled in the optional Elswick green paint. This is a unique opportunity to own one of these sought-after machines.